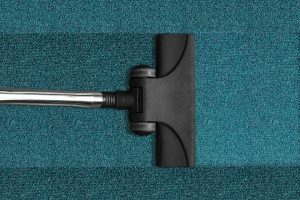 Although, your carpets will be touch try after we have finished, we recommend that you minimise traffic on the carpet until they are fully dry. Linked to the above, remember that walking from a wet carpet onto a hard surface can be very slippery! So be careful, and keep a watchful eye on children and pets! We will sometimes leave pads or blocks under the furniture; this is to ensure that during the drying time, no stains or rust spots form. We recommend that you keep these pads/blocks in place until the carpets are fully dry. Carpet drying time can vary widely due to the density of your carpet, the air humidity and the degree of soil. To speed up drying, ventilate the area as much as outside weather allows, and increase air circulation (turning on fans is a good way to do this). Carpet drying times may vary from only two hours under ideal conditions to as much as 24 hours. If stain protection was applied after cleaning, drying time can be lengthened by a few hours. Occasionally the carpet will ripple. Don’t panic! This is not permanent but can take up to 36 hours to flatten. Upholstery is best left overnight when cleaned to ensure it is fully dry; if it has had protection treatment applied, them we recommend to leave it at least 24 hours if possible. … and what about Leather? Leather furniture is ready for use an hour after cleaning! Your Careclean Cleaning Technician will be more than happy to answer any cleaning after care questions you have… and if you think of something after they have left, just give our friendly and knowledgeable team a call on 01245 323989.